Find out what it takes to get one of the biggest-selling acts in American history amped. Metallica stars in this IMAX original short, directed by Reynier Molenaar. Pink Floyd's final live show in 1995. A rare look at Led Zeppelin, from their humble beginnings to their status as rock gods. Take a journey where incredible heights and extreme lows helped forge one of the greatest rock bands ever. The Metallica boys' trip to Texas is long and heavy, jam packed with thrash hits and a never before (at the time) heard song, Fuel. Metallica performs live during their Black Album tour. This concert was recorded in San Diego 1993, near the end of the tour. Pink: [singing] So ya, thought ya might like to, go to the show. To feel the warm thrill of confusing that space cadet glow. Tell me is something eluding you sunshine? Is this not what you expected to see? If you wanna find out what's behind these cold eyes, you'll just have to claw your way through this disguise! Q: How does Pink magically transform into a Neo-Nazi leader and garner hundreds of supporters? Q: Why were the songs "Hey You" and "The Show Must Go On" left out of the movie? Q: What are the two songs in the movie that are not on the album? What can you possibly say except that this movie is amazing? 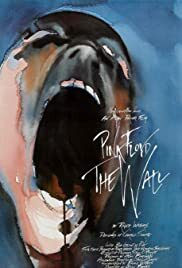 "The Wall" is one of the few movies out there that has a powerful effect on the people are receptive to its message. Told with practically no dialogue, the only guide to the bizarre, frightening, and strange images is the incredible music by Pink Floyd, from their equally good double album. A considerable number of the songs were re-recorded for this movie, and one song (the heart-wrenching "When the Tigers Broke Free") was added. The new versions of the songs are sometimes worse than the album (Waiting for the Worms), and sometimes better (Mother, In the Flesh). "The Wall" isn't a pleasant movie, nor is it a simplistic or banal movie. It is brutal, cynical, and disturbing, but it has moments of flesh-tingling beauty and an uplifting message in the end, if you persevere. I recommend both it and the album to anyone who enjoys a powerful movie. In my opinion, "The Wall," along with a few other albums, represents the pinnacle of rock music. 109 of 132 people found this review helpful. Was this review helpful to you?